You’re standing under the grand oaks encircling the courthouse square ... a sudden shotgun blast... the thunder of marching Klan... Jake Brigance, standing defiant in the ashes of his ruined home... images flash through your mind, and you’re right in the middle of it. You'd think you were standing on the back lot of a Hollywood film studio... but you’re in Canton, the film capital of Mississippi. Long known as the City of Lights, Canton has now become the City of Lights, Camera, Action! as word spreads among such film greats as the Coen Brothers and Joel Schumacher about the wealth of scenic and cultural resources to be found along these historic streets. Join us as we revisit scenes from some of the most memorable films of our time in the Canton Film Museums! NOTE: Due to remodeling and renovation we are booking tours by appointment only, so please call ahead to schedule your tour. 601-859-1307. A Time to Kill (Warner Bros./Regency Enterprises/A Joel Schumacher Film) was filmed entirely on location in Canton, Mississippi. Scenes from this emotionally charged film, based on the novel by John Grisham, are frozen in time in the Canton Film Museums. 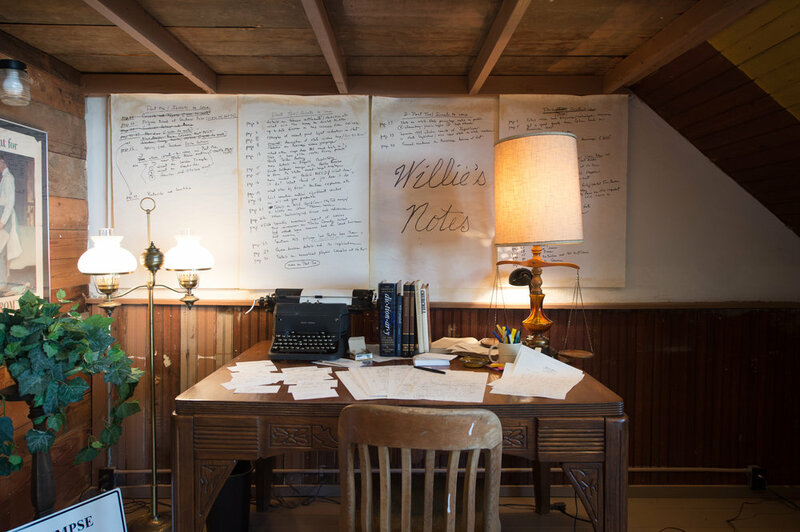 From the coffee shop where a spark first ignites between Jake and Roark, to the law firm offices, to the courthouse square—scene of the frenzied Klan march, you’ll see and hear about the behind-the-scenes planning and production of this crime drama thriller. Guided tours illustrate how an entire town contributed through architecture, commerce, personnel, equipment, and other resources to the making of this and other box office hits. The streets and fields of Canton are the backdrop for this comical and heartfelt coming of age story based on award winning author Willie Morris’ childhood memoirs. My Dog Skip (Alcon Entertainment/Warner Bros.) was filmed in Canton during the summer of 1998. Set pieces from the film, including Willie’s birthday party scene and the actual Witch's Crypt, among others, are on display. Also included in the display is a collection of photos and articles by and about the Mississippi native who authored this touching story. 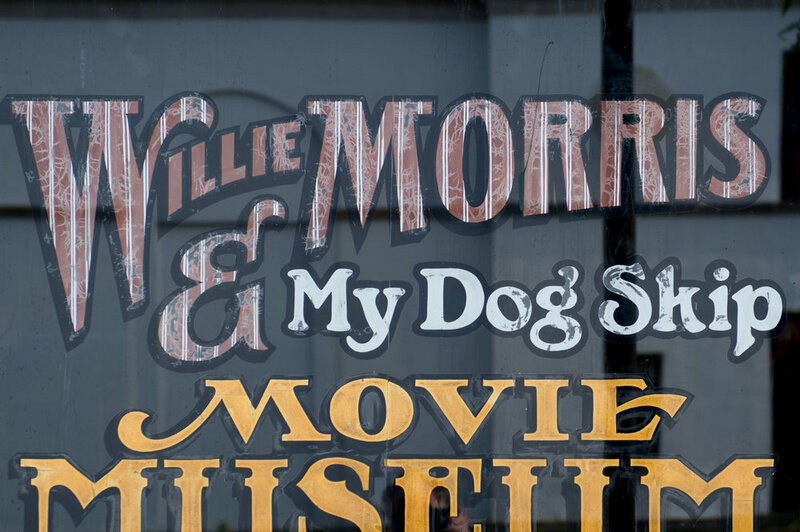 Immortalized in this collection of film memorabilia, Willie Morris and the joys of growing up in the Deep South which he shared so eloquently will continue to warm our hearts for many years to come. From the 1930s permanent wave machine to the Ponder House sitting room, a stroll through the Canton Film Museums transports your imagination to the tiny town of Clay, Georgia, the setting of legendary Pulitzer prize winning author Eudora Welty’s The Ponder Heart (PBS Masterpiece Theatre). O Brother, Where Art Thou (Coen Brothers), The Rising Place, and many other films, documentaries, and commercials have been filmed on location in Canton. Kill some time with us and learn how the town’s special ambiance and sense of place have drawn the interest of the film industry’s best directors as the on-location destination of choice. Movie Museum tickets can be purchased at the Canton Welcome Center on the west side of the Square. You can purchase your ticket and receive your personal tour guide for the movie museums at the Canton Welcome Center . The Canton Welcome Center is open Monday–Friday 10 AM–5 PM and Saturday 8 AM–12 PM. For more information, please call 601-859-1307 or 800-844-3369.